Spend your days as active as you want. 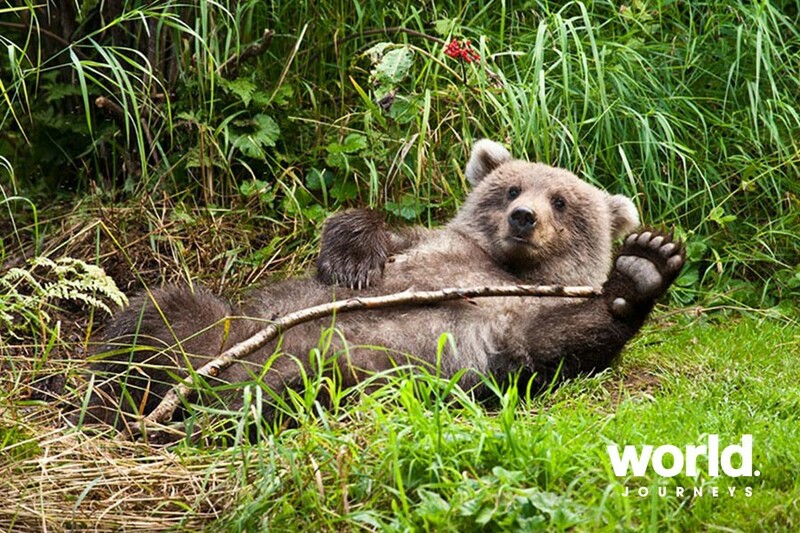 The lodge offers bear viewing, kayaking, salmon fishing, canoeing, wine tasting as well as options to explore the surrounding lakes. 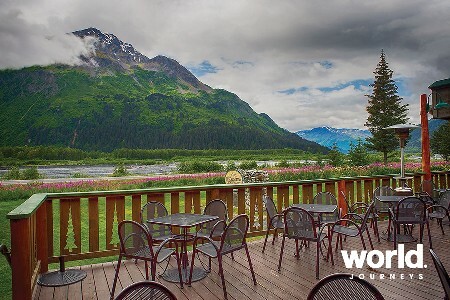 Day 1 Anchorage to Redoubt Bay Lodge Transfer (included) from your Anchorage hotel or Anchorage International Airport to Lake Hood. Depart Lake Hood at either 8am, 12.30pm or 5pm on a scenic 50 minute floatplane flight to Redoubt Bay Lodge. 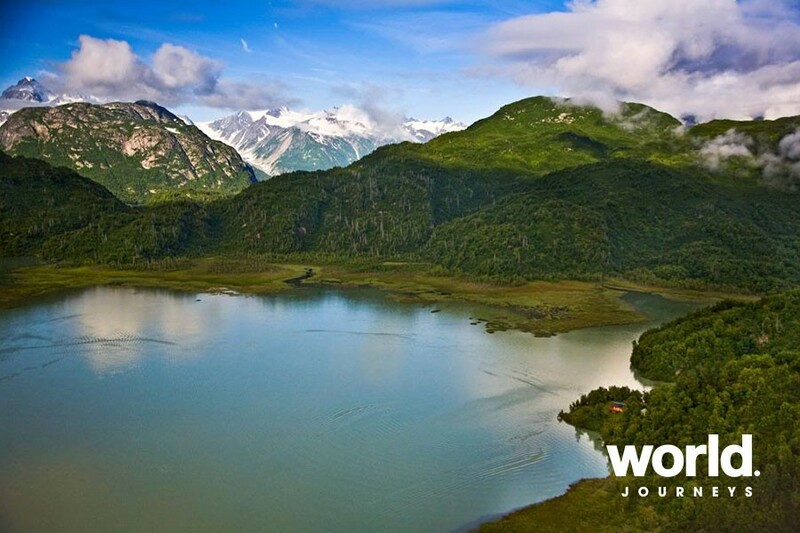 The flight via floatplane offers spectacular scenic views of the Cook Inlet and the western edge of the Kenai Peninsula. Upon arrival, Redoubt Bay Lodge staff will greet you and show you to your cabin. 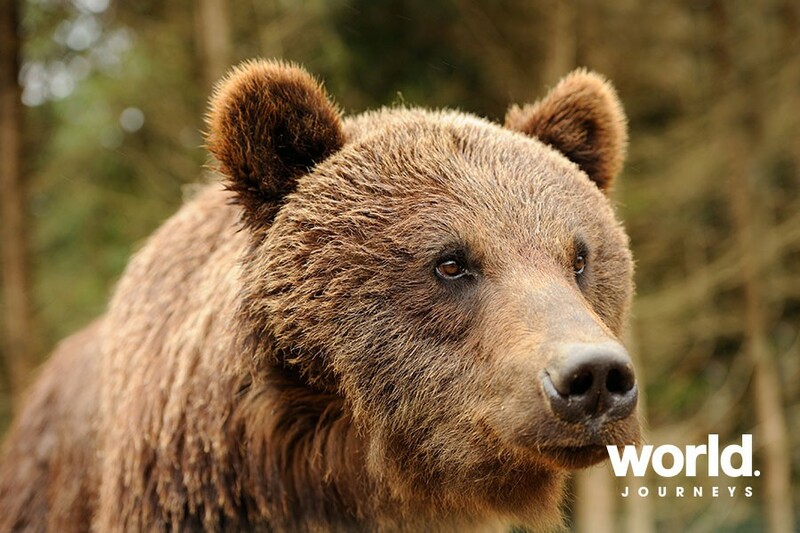 Settle in and join a guided wildlife tour in search of the bears and other wildlife that frequent the area. You will explore the area by boat or skiff primarily. If you'd like kayaks are also available. All activities are guided. Stay overnight at the Lodge. 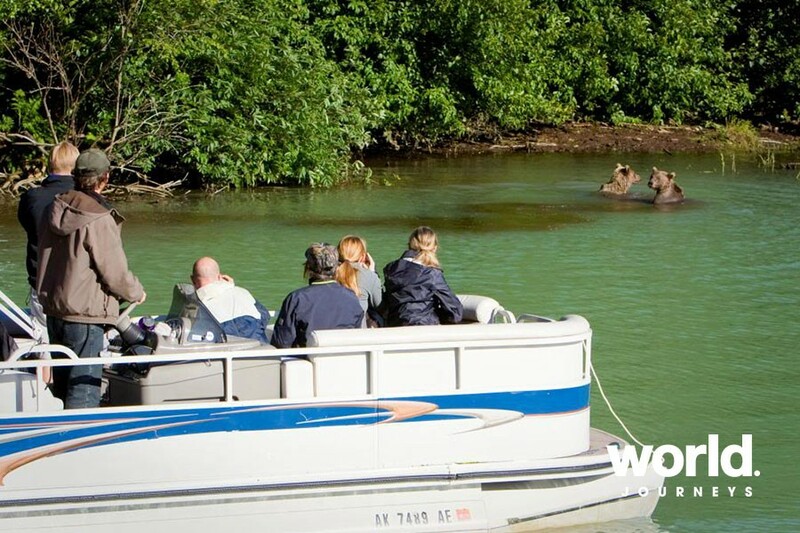 Day 2 & 3 Redoubt Bay Lodge On day two and three, you are welcome to choose your guided wildlife viewing activity by boat, skiff or kayak as this tailor made program is designed to suit your interests. 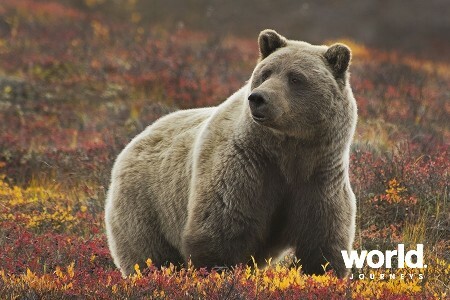 Bear viewing, especially in July, is the main activity for guests. 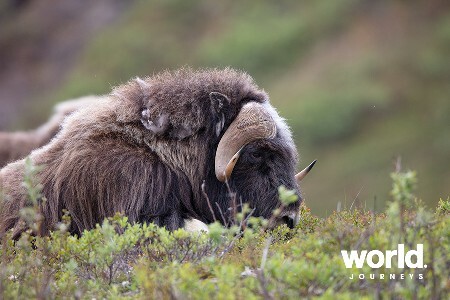 Other wildlife can be spotted in the area such as different birds, bald eagles and harbour seals. Stay overnight at the Lodge. 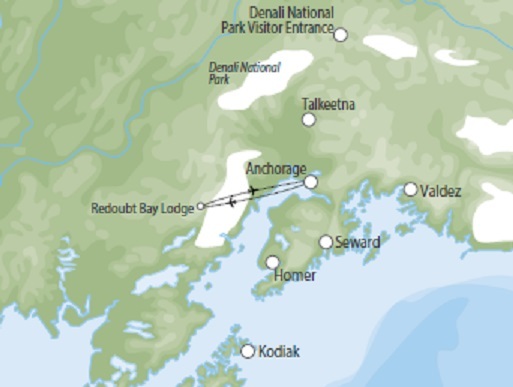 Day 4 Redoubt Bay Lodge to Anchorage Your departure time today will be the same time as your arrival time on day 1. 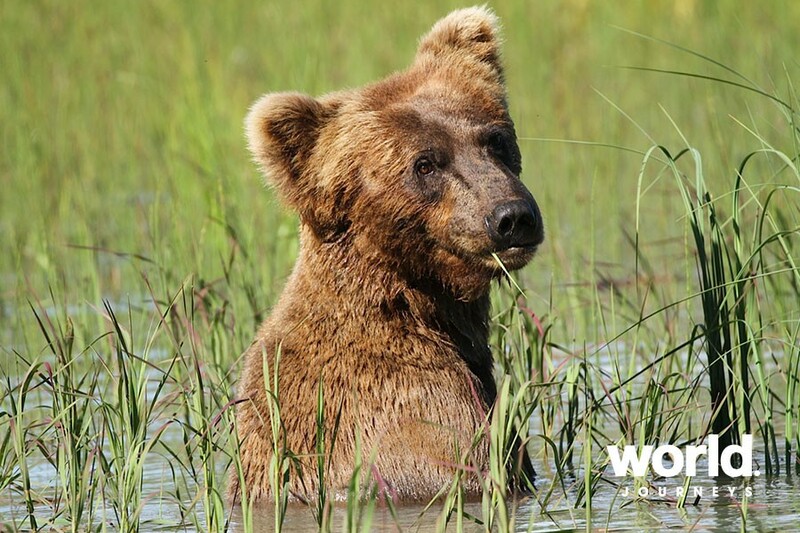 Continue to enjoy the wildlife viewing until your scheduled departure to Anchorage Lake Hood. 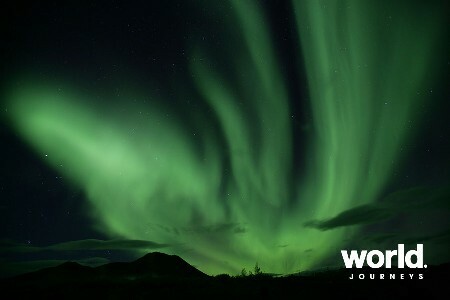 Upon arrival, transfer (included) to Anchorage Airport or downtown Anchorage hotel. Depart from Redoubt Bay Lodge at 9am, 1.30pm or 6pm. 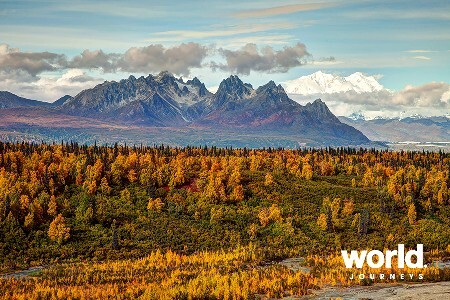 Overnight stays are based on 24- hour periods, with a morning, midday or evening departure option from Anchorage. Guests will depart the lodge at approximately the same time they arrived. The Lodge The small main lodge is a hand-hewn historic log cabin that houses the dining facilities and the kitchen, where all lodge meals are prepared. There is a small reference library as well as games, stationery, and postcards for writing home. Lakeside Cabin This cabin demonstrates typical "Alaska bush" construction of a log cabin. There is a simple private bath and two bedrooms, sleeping five and two people respectively. 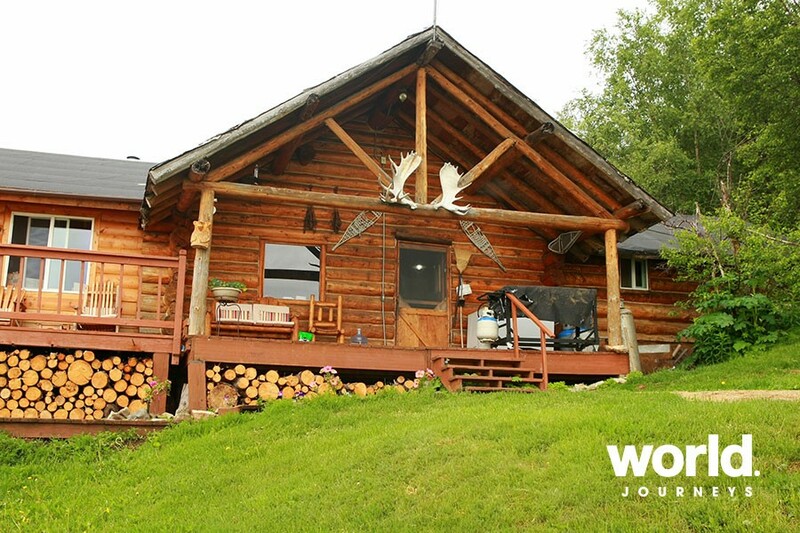 The cabin is heated by a wood stove located in the small front room for relaxing. The lodge provides linen and daily housekeeping service. Trailside Cabin This open-style cabin offers 1 queen bed, 1 twin bed in one room, a private bath, and a pleasant view of the lake from its deck. It is close to the main lodge. The cabin has a cozy couch by the wood stove. The lodge provides linen and daily housekeeping service. Hillside Cabin A short but slightly steep walk beyond the Main Lodge is where the Hillside Cabin is located. 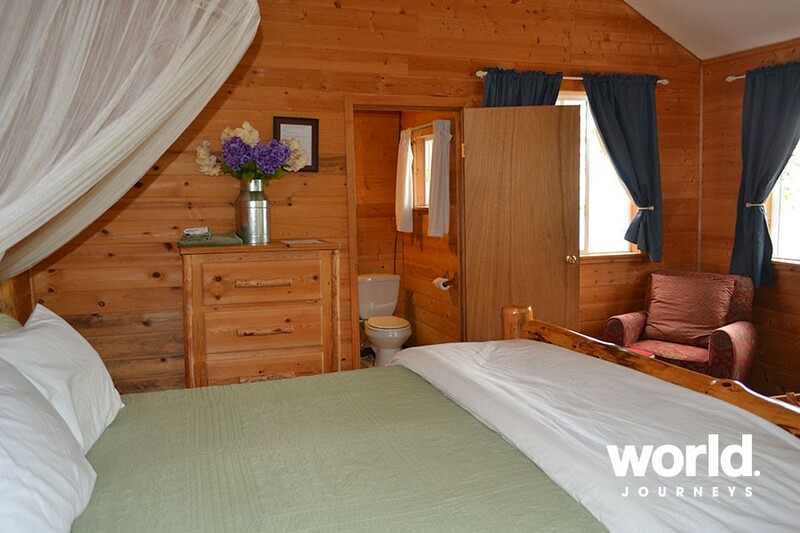 This cabin offers 1 queen bed, 1 twin bed in an open-style one room setting, and a private bath. The cabin is heated by a wood stove. The lodge provides linen and daily housekeeping service. • 50% Non-Refundable Deposit due upon booking. • Full payment is required 120 days prior to departure. • Check-in baggage allowance is limited to 50 lbs (23 Kgs) per passenger. Additional luggage can be stored at the floatplane base.